Last year in Pakistan, a 16-year-old girl named Tahira was murdered in a brutal acid attack – but police nor the government properly handled her case. She died after suffering from the attack, in which her face and upper body were destroyed at the hands of her husband. Her poverty-stricken family could not get attention to her plight, and law enforcement officials refused to listen. Now, one year later, women in Pakistan are standing up and demanding that the law protect them as well. a group of female activists had set up a women’s only jirga in Saidu Sharif, the twin town of Mingora, the largest city in Swat. “We simply can’t leave women at the mercy of the male jirgas,” she told AFP at the jirga’s small office. 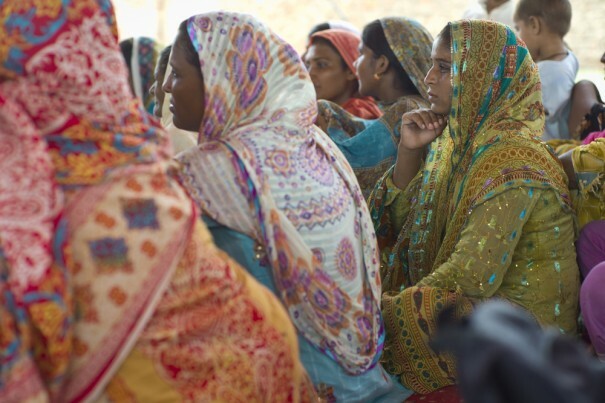 In Pakistan, the rights of fundamentalists surpass the rights of women. Women’s rights are deferred in the name of traditional practices and ignored in a society where men make decisions and set standards for behavior. In Pakistan, women are for selling and exchanging in seeking forgiveness. Due to the corrupted legal system in place there, the government doesn’t respond to their cases. No one listened to Tahira’s case, but the new all-woman jirga in particular has taken a focus to hers and protested against Tahira’s husband. The women in the new jirga are a group of activists working to empower women in the region, and in particular they want to create stronger systems of legal support and law enforcement to protect and defend women and progress their equality in the region. From one case to another, from one sacrifice to another, from Malala’s shooting to Tahira’s murder – the suffering is immeasurable and it needs to stop. It is no longer possible for women to hold themselves back from engaging in the movement for their own rights. There have been many cases of open and hostile discrimination against women in Pakistan, and now the all-woman jirga can speak up and follow the cases in which women are suffering. It is depressing to witness discrimination against women – from Egypt to India to Afghanistan to Pakistan and all over the world. These issues, and the lives affected by them, need to be discussed. Action needs to be taken. Women should have their voices.